AL Arabia Safety company is committed to providing the highest level of safety & fire fighting services to protect life and property in Saudi Arabia. AP Sensing offers distributed optical sensing technology (DTS, distributed temperature sensing, DAS, distributed acoustic sensing, DVS, distributed vibration sensing) for a wide range of applications. Avenger Systems is an independently owned fire detection and suppression company committed to providing customers with the highest quality, cost-effective products solutions and excellent customer service. Bristol was one of the first firefighting companies in the Middle East to receive an ISO 9001 certification, placing great emphasis on achieving local and international approvals on product certifications such as Kite Mark, LPCB, UL listing, and FM approval. The company's main products are submersible fire pump, city emergency drainage pumps, diesel fire pumps, gas top pressure fire water supply equipment, catering oil-water separation equipment and many others. The company's main products are in line with high-tech fields supported by the state. deister electronic has been famous for its innovative products and solutions for identification and security of people, resources and buildings. HD Fire Protect has been involved in designing, developing and manufacturing a broad range of world-class firefighting equipment and systems that have been meeting ever-changing and demanding industry standards. Lubi aims to provide comprehensive pumping solutions with superior quality & energy efficiency. They are also committed to the green movement by continuously improving energy efficiency. MARTECH® Fire Solutions is a boutique engineering company delivering effective, flexible and integrated fire Protection systems to protect people, properties and assets globally. Yaffy products include, High Visibility and Black Waterproof clothing complimented with a range of performance fleeces and lightweight high visibility outerwear. Yaffy is now one of the leading suppliers of high performance outerwear to UK Police Forces. NAFFCO offers complete solutions under one roof for all types of high quality firefighting equipment, fire protection systems, fire alarms, addressable emergency systems, security systems, custom-made vehicle such as fire trucks, ambulances, mobile hospitals and airport rescue firefighting vehicles (ARFF). The ORAFOL brands are known and trusted in the industry for their consistent high quality. One such brand is the ORAFOL Reflective Solutions Brand: ORALITE®. ORALITE® offers solutions for the following sectors – Traffic Management, Personal Safety, Safety at Sea, Vehicle Safety and more. RCL International is a global supplier of comprehensive product portfolios, including fire alarm systems, fire-fighting equipment, fire suppression systems, security, video surveillance solutions, and customized systems to meet specific needs. Rezontech Co., Ltd. is the world-class Flame Detector Manufacturer has been leading the Flame Detector market in Korea since 2004. It developed the first-ever IR3 type Flame Detectors in Korea by utilizing its own unique technology. Sarena’s customized fabrics meet the most stringent requirements of customers across a broad spectrum of industry ranging from petro-chemical and oil and gas to automobile, hospitals, hospitality, leasing and so on. Their protective fabrics span a wide variety of functional features. Luyuan Fire Technology is a large-scale manufacturer specialized in production of Ductile iron Grooved coupling and fittings for over 12 years. The brand has become a well-known brand in China, with a high reputation among the customers. Shenzhen Asenware Test & Control Technology Co. Ltd. The company supplies whole fire alarm and suppression system include conventional fire alarm system, addressable fire alarm system, emergency light system, FM200 gas suppression system, fire pump, fire hose reel and cabinet. With more than 40 years of experience, Teknoware is one of the leading emergency lighting manufacturers. We are a significant technological innovator of emergency lighting systems for buildings, ships and other locations. WATERFALL is an innovative and efficient centrifugal Pumps Manufacturer that offers operators of pumps systems a wide range of quality products. Weflo Valve, LLC specializes in the manufacture of UL / FM valve, hydrant, and accessory products for fire protection piping systems. They offer one of the broadest lines of UL / FM valve products in the industry. WINGROU Pipe Technology Co, a UK based manufacturer of Grooved Mechanical Piping products and Valves serving the needs across diverse business lines like Fire Protection, Utility Piping, HVAC, Mining, Plumbing, Oil and Gas, Marine and Industrial Markets. Established to cater to the growing needs of the fast Industrial development in the kingdom. The Fire Protection Est. was set-up to provide specialized products and services to all industries including construction in the kingdom with expertise in turn key and procurement and constructions projects. Albilad Fire Fighting Systems Co. Ltd. Renowned fire protection systems tailored to Saudi Arabian requirements. The company has invested in the latest technology to bring cost-effective fire protection to residential, commercial, and industrial facilities in Saudi Arabia. 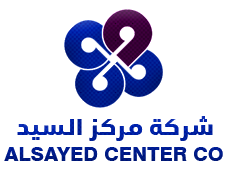 Al Sayed is known to provide global products and first-class service to customers in Saudi Arabia and the Gulf region. It aims to be one of the leading companies and the largest stockist for HVAC materials and firefighting materials. Dräger is a leading international company in the fields of medical and safety technology. Since 1889, Dräger has been developing advanced technical devices and solutions trusted by users all over the world. Health Education Establishment is specialized in the supply of educational and training materials and manikins in the medical and rescue fields. Their slogan is “Education by Simulation”. Fire DIRECT brings to the world of industrial fire training, the realism, opportunity and discipline usually only experienced by professional firefighters. It prides itself in having an open & fluid management style that supports and enhances training experience for all its students. The company supplies mechanical materials to new projects and renovations with highly skilled engineers and a technical team that can provide technical support through studying specifications; design; selection and recommendations. The company specializes in supplying water pumping Systems and associated accessories as well as contracting all related work types including fire suppression systems for both the public (Municipalities) and private (Industrial) sectors. SMI is a world-class precision manufacturing company, offering a comprehensive service with an emphasis on a total customer satisfaction. With a dedicated and experienced team of skilled personnel, SMI provides an efficient service to achieve the required specifications and quality customers require. SFFECO has its state-of-the-art manufacturing plants in Riyadh and Dubai producing end-to-end range of products for the firefighting industry matching international standards in quality.